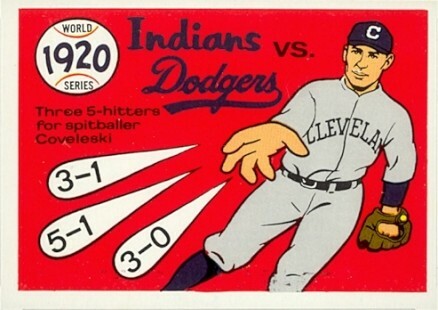 In the 1920 World Series, the Cleveland Indians beat the Brooklyn Dodgers, then known interchangeably as the Robins in reference to their manager Wilbert Robinson, in seven games, five games to two. This series was a best-of-nine series, like the first World Series in 1903 and the World Series of 1919 and 1921. The only World Series triple play, the first World Series grand slam and the first World Series home run by a pitcher all occurred in Game 5 of this Series. The Indians won the series in memory of their former shortstop Ray Chapman, who had been killed earlier in the season when struck in the head by a pitched ball.